I recently had the opportunity to review a trio of products from Tech Armor. 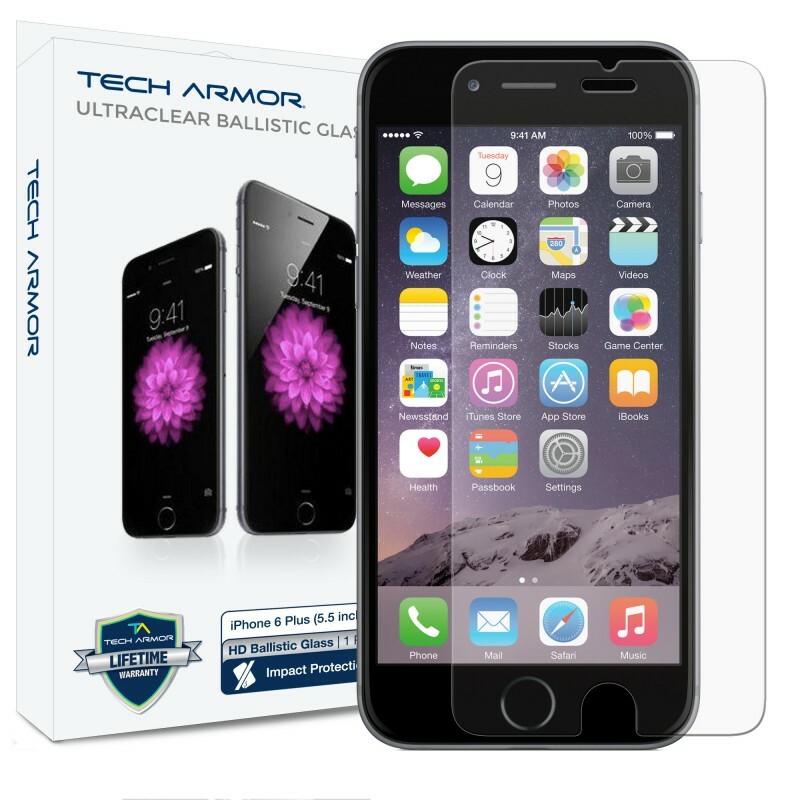 Perhaps most well-known for their screen protection products, Tech Armor actually offers a complete catalog of screen protectors, cases, accessories and cables for many models of phones and tablets devices. In this review, I’m going to take a look at one of their MFi-certified lightning cables as well as one of their glass screen protectors and their cases for the iPhone 6 Plus. All of these products come with Tech Armor’s Lifetime Replacement Warranty. Seeing as their screen protectors are probably their most popular products, that seems as good a place as any to start. 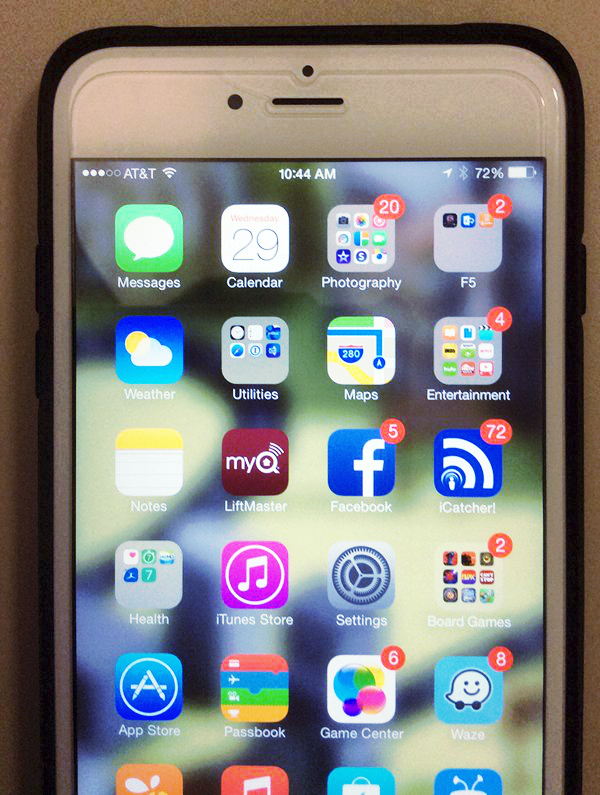 For my iPhone 6 Plus, I chose the Premium HD Clear Ballistic Glass Screen Protector. While I’ve used numerous plastic protectors in the past from various manufacturers (with mixed results), this was my first experience with a glass screen protector, and overall I am quite pleased. The first thing I noticed with Tech Armor’s product is just how silky smooth it felt on the device. There was absolutely no tackiness or finger stutter like their can sometimes be with the plastic ones. It felt just as good as if there were no screen protector on at all, and the complete lack of fingerprints is glorious! As far as installation goes, I felt it was a bit trickier to install than it could/should have been, due to the fact that the width of the screen protector seems just slightly too narrow. This means you have to be very precise with placement. I wish the screen were just a tiny bit wider, for even when I perfectly aligned it on one side of the iPhone’s screen, it left a very thin sliver of the screen on the other side of the screen exposed. I’m not sure if mine was just slightly miscut or what, but it seems that they could safely make the screen just a small bit wider and it wouldn’t run into issues with the curvature of the new iPhones. Tech Armor also makes another version of their glass screen protector which contains colored edges to match those of the front face of your iPhone’s screen. I’m curious if these have the extra width I’m looking for and my try one of these in the future. After installation, I did notice one small hairline crack in the protector just above my font-facing camera, but it hasn’t been an issue. I’m not sure if this occurred during installation or if it came like that, but the protector does come with a lifetime warranty, so I could probably get it replaced if I tried. Even with these small issues, this is far and away the best screen protector I have ever used, smooth, clean and with virtually NO DISTRACTING SMUDGES. 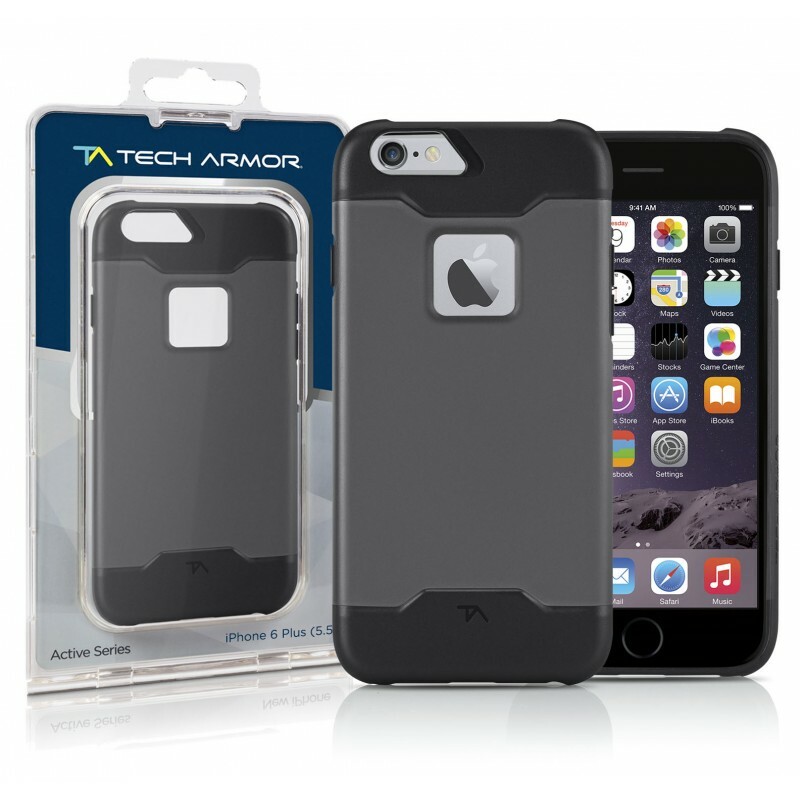 Next up is Tech Armor’s thin polycarbonate/TPU Active Series case. Like nearly all cases of this style, I’m not sure how much real drop protection it would actually offer, but I mostly buy my cases for scratch protection more than drop protection and that it does quite well. The case is rather smooth and slides easily in and out of your pocket. In fact, it could probably use a little more texture and grip just to help avoid dropping. The Active Series case is super easy to install, snapping right onto your phone with a nice rubber interior to protect the phone itself and keep in place. The volume and power buttons are covered with nice soft rubber and I didn’t notice any loss of sensitivity. On the rear of the case there is a sizable opening for the camera (so no flash reflection issues) and plenty of room on the bottom openings to allow for third-party lightning cables. The one aspect of the case I wasn’t such a fan of is the square cutout in the back to display the apple logo on your phone. While it is nice to see the apple logo, this area can be a bit of a pocket lint and dust magnet and it means that part of the rear of your phone could possibly get scratched. I’m not sure if this was put there solely for aesthetics or it serves some other purpose like giving heat a place to escape, but if it’s purely cosmetic, I’d have preferred to see a clear protected section instead. Finally, that brings us to Tech Armor’s fantastic 6 Ft. 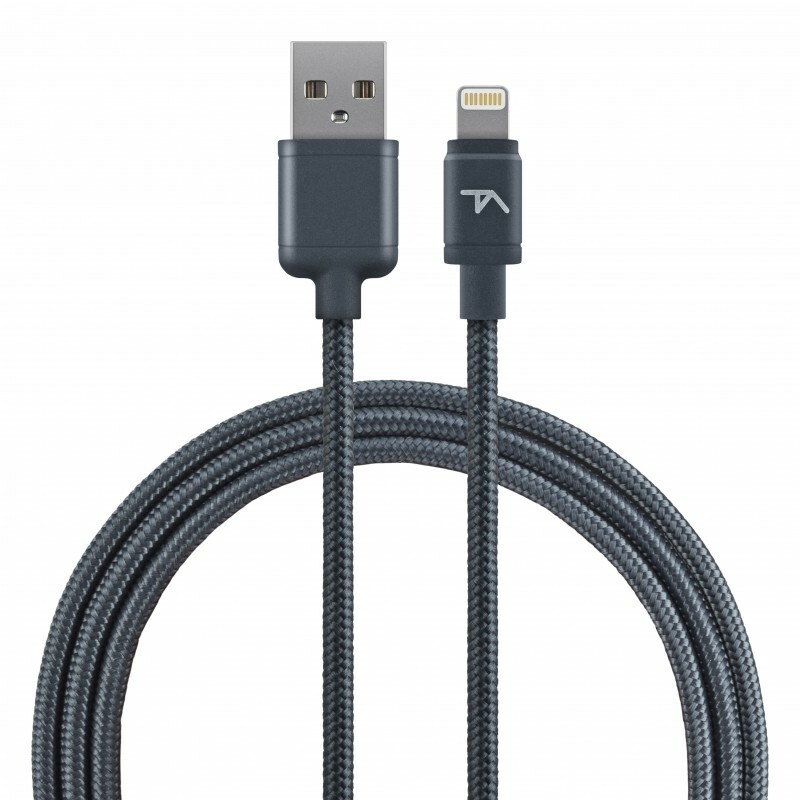 Premium Apple Certified Braided Lightning Cable. This thing is really well-built, the braided cable has held up against a wealth of household abuse. It’s be pulled, dragged, accidentally pinned under table legs, stepped on, run over with chairs and more and still looks and works like new. This is one thick, tough cable and I have not experienced any of the compatibility issues that have plagued a few of my other third-party cables which claimed to be MFi certified. Plus the connector is nice and slim, so there should be no worries with it fitting in your case. Well worth the price. Overall, I was quite pleased with the quality of these Tech Armor products. While I had a few nitpicks here and there I would definitely purchase products from Tech Armor again for future devices, especially if they can make a slight tweak to their screen protector sizing. If you are interested in any of these items, you can order them directly from Tech Armor’s website with free shipping or sometimes you can get even better deals on Amazon.